1. Happy Friday! It's been a full, productive week at home, despite a painful tailbone injury that hardly seems to be healing. (The doctor reassured me that within 2 months it would heal. 2 months?!) Anyway, I've had to stand 80% of the time to avoid pain, which has meant a cleaner-than-normal house, preparing freezer meals for when baby arrives, and an extraordinary amount of nesting. Like... a third of our Christmas gifts are already purchased and wrapped. Speaking of gifts, Liam turns two this month! 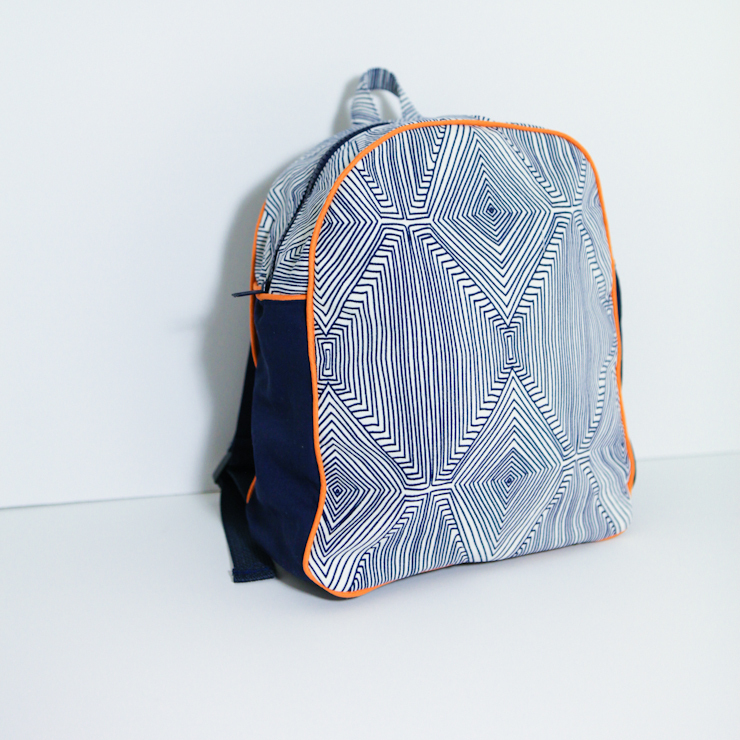 For one of his gifts, I sewed him his first backpack. I figured it would be helpful for him to carry to "school" (Bible study) and church with his snack and sippy cup and diapers when the new baby arrives, so that the diaper bag is freed up for her things. 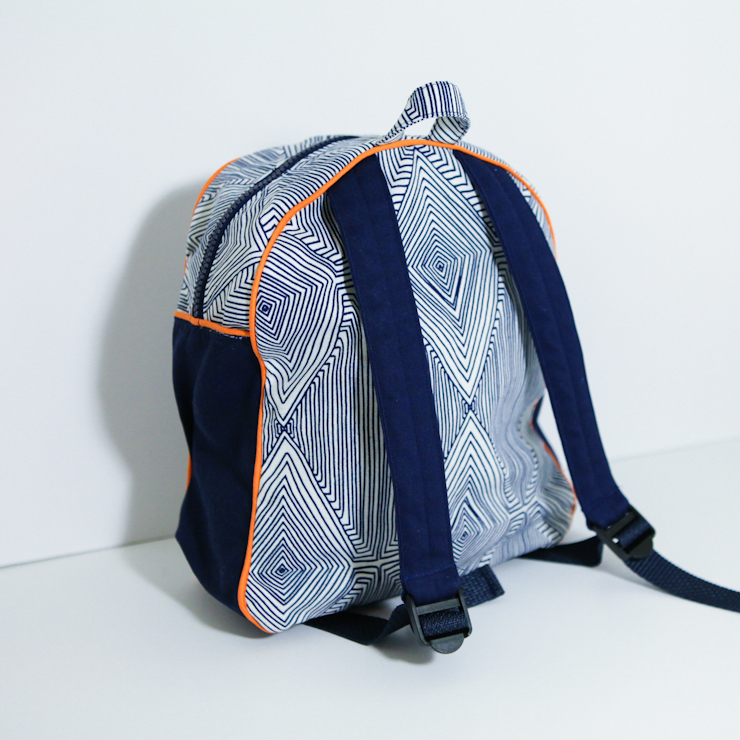 I used Made By Rae's Toddler Backpack pattern, which was easy to follow and makes a really adorable bag. The exterior fabric is a new Nate Berkus home decor print I found at Joann's that's apparently "soil and stain resistant." Yes, please. I can't wait to see him wearing it. 3. As someone who loves the city and misses it daily (specifically Chicago and New York), this article by Kathy Keller on why the city is a wonderful place to raise children is so enlightening and encouraging. We don't have plans to move from Raleigh, but if we did, a large city would be our top choice. And we'd re-visit this article a dozen times. I love her insight. 4. Did you know you can freeze fresh spinach to use for smoothies? We always buy spinach or kale from Costco and rarely get through an entire carton, so this is budget life changing. I especially love the idea of making spinach cubes to put straight into a green smoothie. Exactly what we'll be doing. 5. Have you stumbled on this article: If My Child Marries Yours? If you're in a similar season of motherhood, brace yourself for the tears. Just beautiful. Anything you've learned around the web this week that you want to share? Comment away. And have a wonderful weekend! Well look at me commenting twice in one week. I just had to on the spinach thing though--we are a hug fan of freezing spinach since we always have tons and we use it in smoothies. At first we did the blanching/ice cube thing, but one day I think I just really didn't have time for it and just put the bag of fresh spinach straight into the freezer and... it totally works just fine. So that's all we do now. Easiest thing ever. Frozen spinach is also great in dishes like pastas or vegetarian lasagna or stir fry where it's going to be cooked in the dish anyway. I use it all the time to prevent it going to waste in the fridge. I just freeze it in half cup or cup amounts in a ziplock bag. Good to know. Thanks, Jess! That is one unique backpack! I just might get one for me! I hope your tailbone heals quickly! I fractured mine several years ago and in certain positions it still hurts, easily one of the most painful injuries I've ever had :( I'll be praying for a quick recovery for you! Would you mind sharing your meal ideas that you are prepping and freezing? your very own risk and if you have actually had success snapchatapkdownload.com the emulator. I recommend conserving the file for future use.